Iran has repeatedly strongly refuted claims of its troops' presence in Syria, however, admitted sending military advisors to help the Syrian government fight terrorists. Tehran has also been acting as one of the guarantors of the ceasefire regime in the Arab Republic and as a broker in peace talks. Ali Akbar Velayati, the top aide of Iranian Supreme Leader, has demanded the US military pullout from Syria as it is "there without the permission" of Damascus. When asked to comment on the demand voiced earlier in the day by US Secretary of State Rex Tillerson concerning Tehran's withdrawal from the country, Velayati was quoted as saying by ISNA, "Iran’s military presence in Syria was based on invitation of the Syrian government." Earlier in the day, Tillerson also voiced concern over the recent incidents in Syria, involving Israel, apparently referring to the events of February 10 when the Israeli Defense Forces (IDF) reported that one of their Apache attack helicopters downed an Iranian unmanned aerial vehicle over the disputed Golan Heights. Responding to the incident, an Israeli aircraft crossed into the territory of Syria to attack the command post that was used to control the drone. In response, Syria's air defense systems struck back and downed an F-16 fighter jet, prompting the Israeli military to launch another wave of attacks to strike "additional Iranian targets" in Syria. The Syrian Defense Ministry stated its air defenses responded to the aerial attacks, foiling the aggression. In its turn, the Iranian Foreign Ministry has denied its military presence in Syria, lambasting claims about the downed drone. Ali Akbar Velayati, the Iranian Leader's Aide on International Affairs, stated earlier this week, "Israel must know that every attack will get the same response, it is Syria's right. The axis of resistance will protect its sovereignty, and we will not remain silent to Israeli aggression." 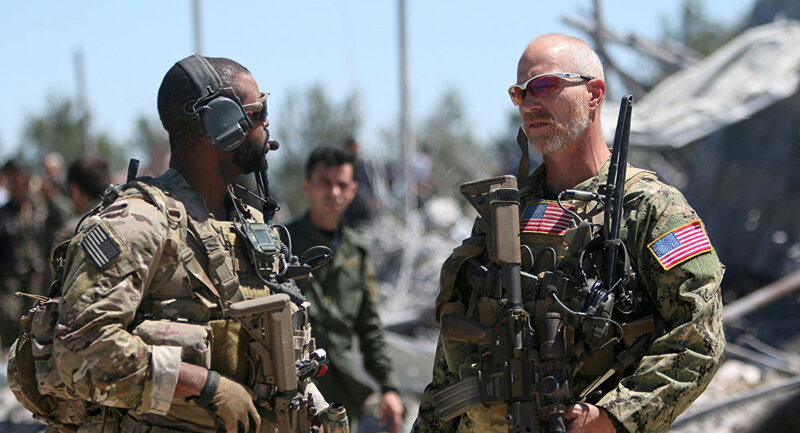 Despite Israeli and US officials' statements, voicing concern over alleged Iranian presence on Syria, Tehran has repeatedly strongly refuted claims of its troops' presence in Syria, however, admitted sending military advisors to help the Syrian government fight terrorists. The Islamic Republic has also been acting as one of the guarantors of the ceasefire regime in the Arab Republic and as a broker in peace talks. The US-led coalition of over 70 nations that has been conducting anti-Daesh operations in Syria without either the government's approval or a UN mandate, with Damascus calling its presence in the country a violation of international law.